Recognizing that customers often want to see, touch and feel the products they see on the Web before making a decision, Liberty Tabletop has created a sample program. Samples are intended to give a flavor for the weight, size and basic design of the pieces before ordering larger sets. Our samples often are seconds which means they may have a slight defect which could be pattern detail related, pattern finish related or some other issue that did not meet our high quality standards. The $8.00 charge is intended to cover the cost of shipping and order processing. The sample item will typically be a dinner fork, as that is the most requested and the piece that differs the most between product lines. In the event that a sample dinner fork is not available, the item may be a salad fork, teaspoon, or place spoon. If you are interested in seeing a particular item, you may request so in the order notes and we will do our best to accommodate you. We do not distribute samples of knives or serving items. Please enter the patterns you would like. I bought a set of Sheffield flatware about 2 years ago. 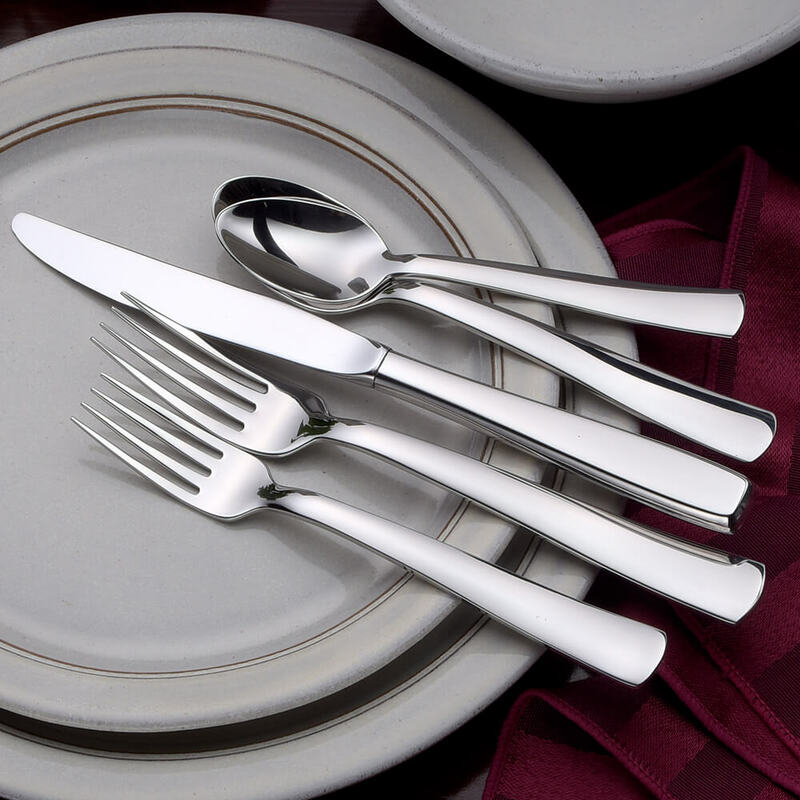 I had looked at every flatware available in the U.S. and decided on Liberty because of the quality and the fact that it’s 100% USA made. Overall I’ve been extremely happy with my choice. My only issue was with the knives. In the beginning I left some of the knives unwashed overnight in my dishwasher. After going through the cycle the next day the knife blades had spots on them that nothing would remove. I called Liberty and they replaced them. But I’ve never had that problem with my old Oneida flatware even after 30 years. The rest of the Sheffield flatware goes through the dishwasher all the time and still looks wonderful. However I’m very careful with the knives now. I hand wash them Immediately after use, dry them, and put them away. It’s a little extra work but worth it to me because I love the flatware so much. I would be interested to know if anyone else has had this problem. The issue with the knives is the only reason I didn’t give a 5 star rating. Everything else about the company and the flatware is 5 stars for sure! This is a really great service for Liberty to provide. It was so helpful when selecting a pattern. My one suggestion would be to note the defects in the pieces (as listed, they’re seconds). It would be good to know if the differences in things like the thickness of the tines are because of a defect or a feature of that pattern. A great way to be introduced to the various patterns Liberty offers. I am so very glad that I got the samples. I had no idea how long the dinner forks were. I love the quality of the flatware. I do wish there was a store in Northern California. What a great way to get a feel for the quality products when a dealer is not close by. Helped make my decision on what style to get and also share with friends and family. Loved my samples! All 3 were contenders and it was great to have the product in hand to help me with this decision….definitely buying for Christmas!! I was very happy to be able to see and feel a sampling of your flatware. I was skeptical about the quality as I looked at the pictures and thought that the cost was very high for something that I would have to guess at. Once I received my sample I felt the flatware was well worth the price! Thank you for making a quality product in the USA. Having access to the samples is absolutely necessary when you live far away from where they can be viewed. I am all for furnishing my home with USA quality. All of the brand names that represented quality from my early home are now replaced with cheap imitations bearing the same company name, still grieving over What China did for Phaltzgraf. Was glad to find a USA product that will replace my last set where i resorted to estate auction silverplate since i could find no quality stainless. We are pleased with the 3 samples sent to us by Liberty !We will shortly make our order for the pattern we have selected. A big bonus is the fact that the flatware is made in the USA of high quality 18/10 stainless steel. Purchased the Celtic designed flatware as a birthday present for my daughter at the NY State Fair. Beautiful product! Great price for the value! So glad to purchase a product that is locally made! Liberty provided a great service to allow a “Hands On” preview of their product. I received the 3 samples that I requested (Annapolis, Flame and Celtic) within just a few days. All 3 were beautiful and flawless. This makes it difficult to pick just 1, as the quality of craftsmanship is the same for all 3. 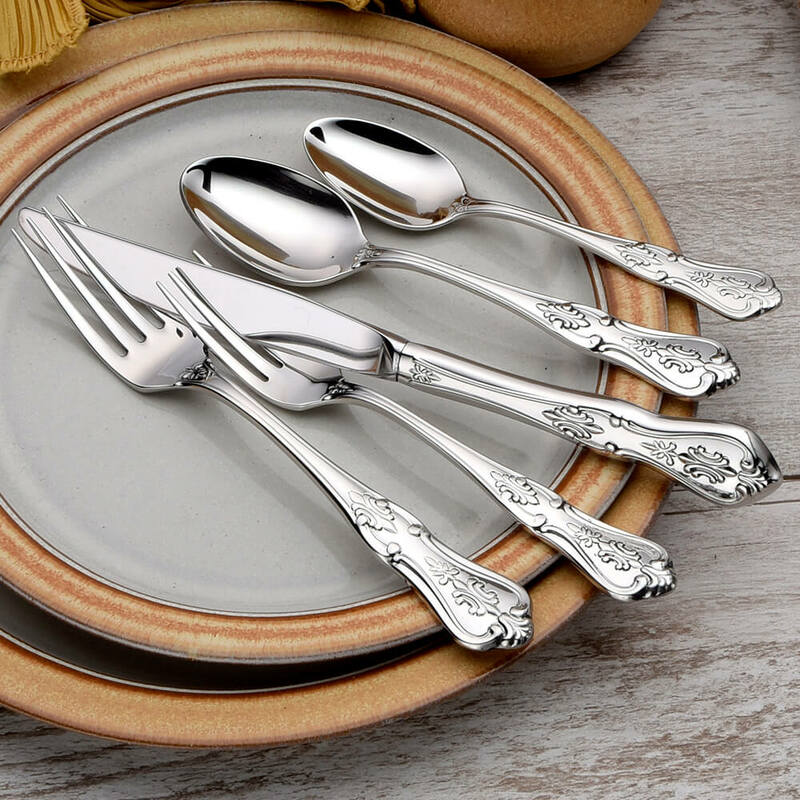 Beautiful flatware and how nice for Liberty to send samples to see before making a purchase! It’s so important to have a preview of what your family and you are going to use daily. I really appreciate the this sample option. 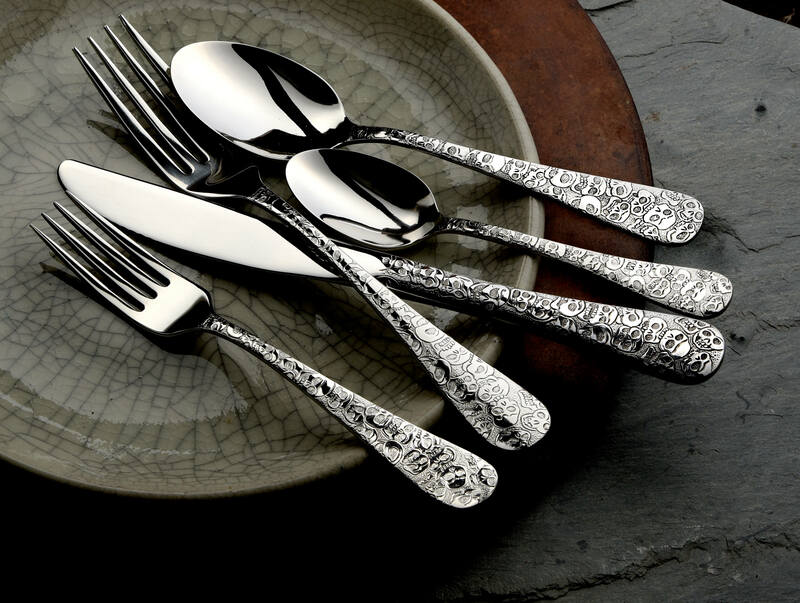 I have no intention of buying more flatware-ever. We have inherited formal silver plate, so this is it! The only problem is that the samples are so beautiful we’re still undecided. Whatever we buy, I hope will be passed on to the next generation with the formal silver. I have to really be sure! 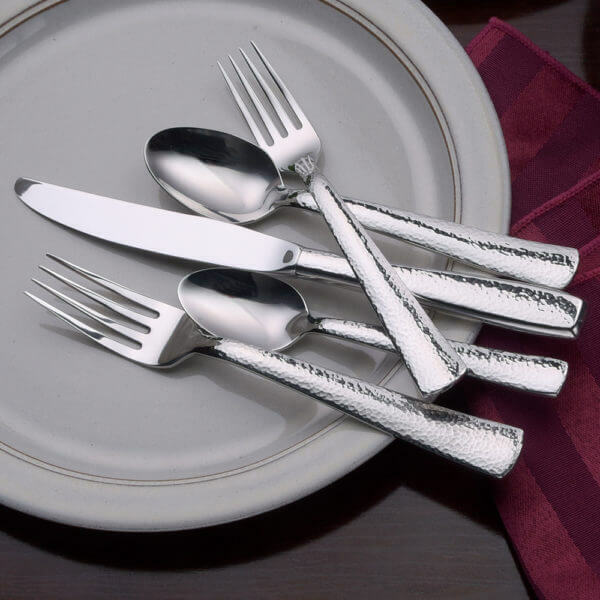 The sample program is a fabulous way to examine the flatware and see the quality. I ordered two sets of samples because the Flame pattern was released. I was very interested in that and I ended up choosing that pattern. I’ve had my Sheffield pattern for a over a year now – love it! Substantial weight, holds up well in dishwasher – very pleased. The Celtic set was a hit when I showed it to my daughter. We have Irish/Scot ancestry and want to show it! I plan to give her the full set and serving pieces at Christmas! I’ll be looking for a good sale price! I ordered the samples to narrow my decision on a pattern. I was impressed by the quality and finish. The look and feel of the samples sold me on the brand. Decision made, I ordered a complete set of the Annapolis pattern. Being made in the USA is definitely a plus. I love the set I chose! I love that your flatware is made here in the USA. I got a sample of the Annapolis. If it came in the smaller “American” size, I would buy! Maybe in the future??? If you find the “Euro” sized dinner forks a bit too big one option that other customers have taken advantage of would be to swap out the dinner forks for salad forks. We realize the larger sizing is not for all and are happy to provide an alternative. 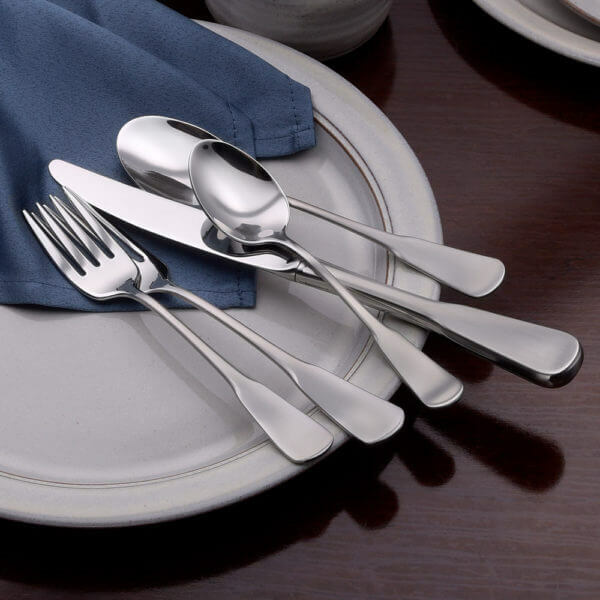 I was very impressed with the quality of this flatware! I need to order more samples to decide which pattern. I will buy a set soon! Being able to see and use the samples is a great idea. I bought the Celtic pattern and love it. I am planning on buying the whole set now. Love that they are made in USA! I ordered 3 sets of flatware samples, selecting 6 pattern to try out! What a wonderful way to sample the pieces to help decide. I initially was interested in the Celtic pattern but also fell in love with Kensington. Now I have the difficult task of making a choice! I purchased several samples from three different categories/weights and found all to be of such good quality that I really could not tell that they were seconds. I used them for a period of time, which really helped me to make a final decision between two of the patterns. The sample program is an excellent idea, and I encourage everyone to try it. I have since ordered and received my set of flatware, and it is lovely in all respects. Many thanks to Kim for her courteous and knowledgeable assistance! This free samples program is an excellent idea. I am able to actually see and use the flatware before out right purchasing. I look forward to ordering soon. I got so excited when the new Celtic pattern was introduced, so I decided to buy the sample set to see if we would like the size/weight/quality of Liberty Tabletop’s flatware. The package arrived in two days…impressive! The samples were wonderful. They are a good size and have an excellent weight in your hand. They come out of the dishwasher beautiful and shiny. Liberty says the sample pieces are usually “seconds.” LOL! These “seconds” are better than the “firsts” we had been using from other manufacturers. The bottom line – these are top quality pieces. I promptly ordered the Celtic pattern and we love them! Don’t hesitate to try the samples and certainly don’t be afraid to purchase place settings from Liberty. High quality, great customer service, and made in the USA! Marvelous!! What a brilliant and inexpensive way to introduce potential customers to your wonderful product! My wife and I also found it very accommodating that one is able to order up to two sets of three sample pieces. This was very handy when a new pattern was recently introduced that we thought we would be interested in. 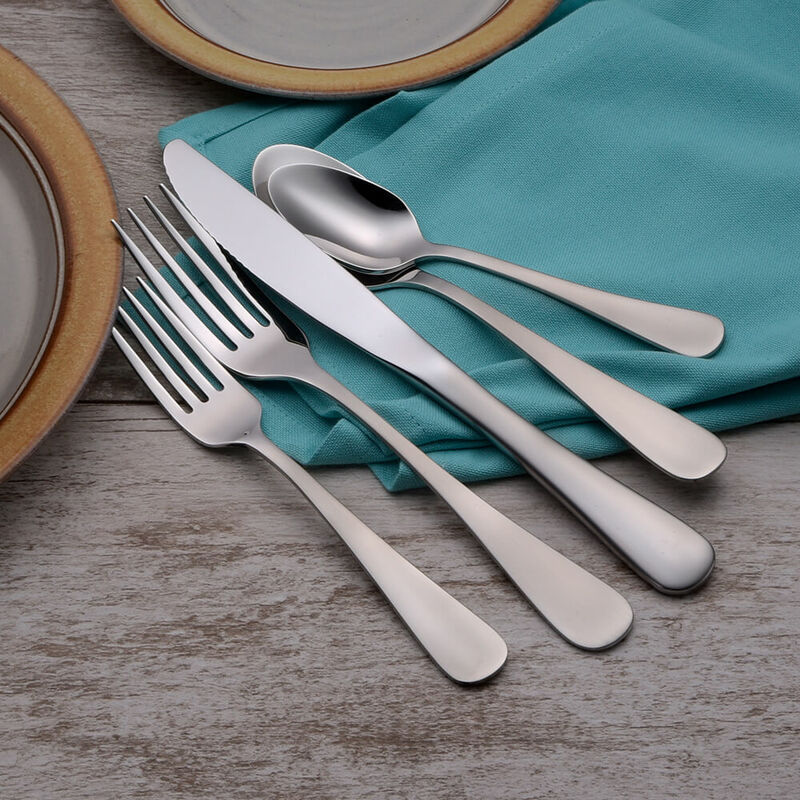 Absolutely worth the low cost to actually FEEL this wonderfully made flatware. The samples that I purchased are very beautiful!!! So happy that Liberty offers the sample option before purchasing…The craftsmanship is outstanding and I will definitely be ordering my American made Liberty flatware in the near future. Let’s face it, shopping online for certain products can be a crap shoot. I applaud Liberty for implementing such an effective, risk free way for consumers to test drive their products. Too bad manufacturers of other products don’t offer a similar program. 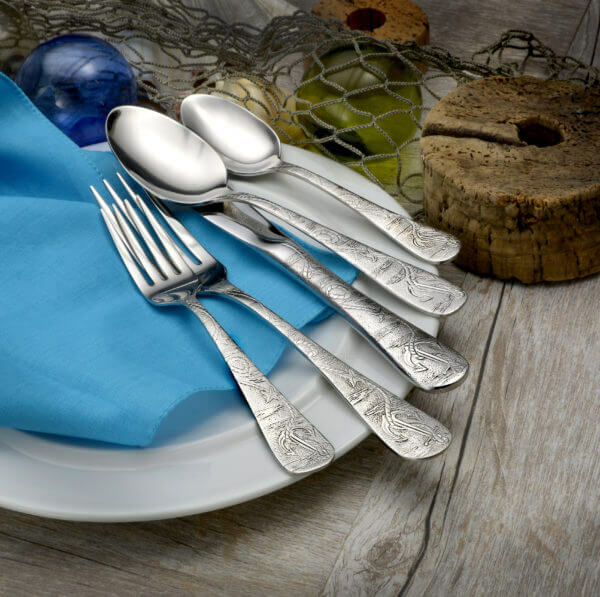 I’d imagine that most folks who end up shopping for Liberty flatware, do in fact have many years of experience with other flatware, as such, you pretty much already know what you like. 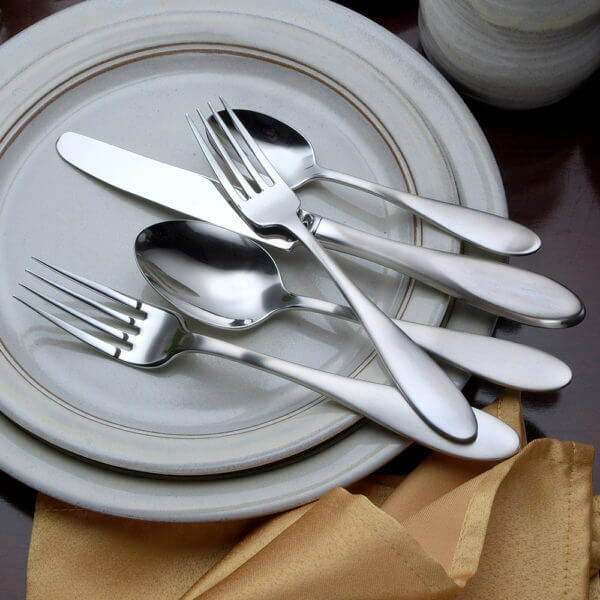 Therefore, the only way to determine if your new flatware will meet expectations, is to perform a side-by-side comparison with your existing flatware. The Samples Program is an inexpensive way to accomplish this goal. 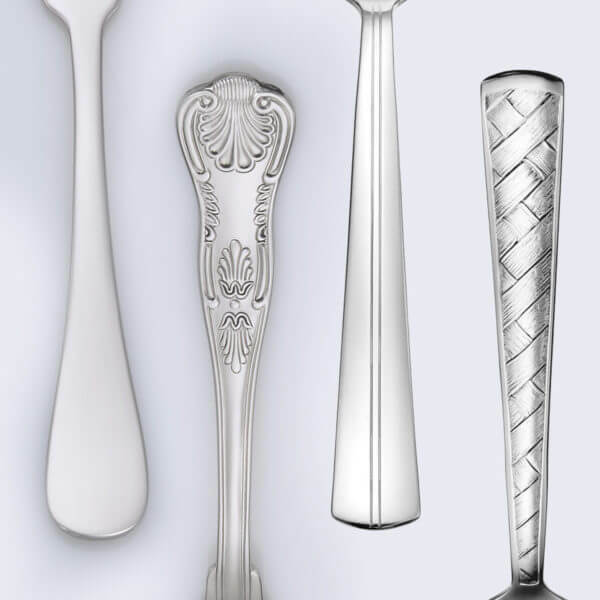 I selected samples from 3 different lines of flatware – Lux, Heritage and SMI. The feel of the Lux surpassed what I’ve been using for the last 16 years. I would’ve never known this to be true if not for the Samples Program, because I doubt that I would’ve spent the money for the higher line of flatware, without first knowing how perfect it felt in my hand. Liberty’s sample program is fantastic. I doubt I would have ordered full sets from them without having been able to see and feel the product in my hand first. I ordered two sample packs since I couldn’t narrow it down past six online: Annapolis, Classic Rim, Pearl, Betsy Ross, Pinehurst, and Cedarcrest. On arrival some forks were too simple, some too large, so ultimately we narrowed it down to Pinehurst and Classic Rim – very different styles, but I liked the substantial-feel of the Pinehurst and the classic beauty of the Classic Rim. 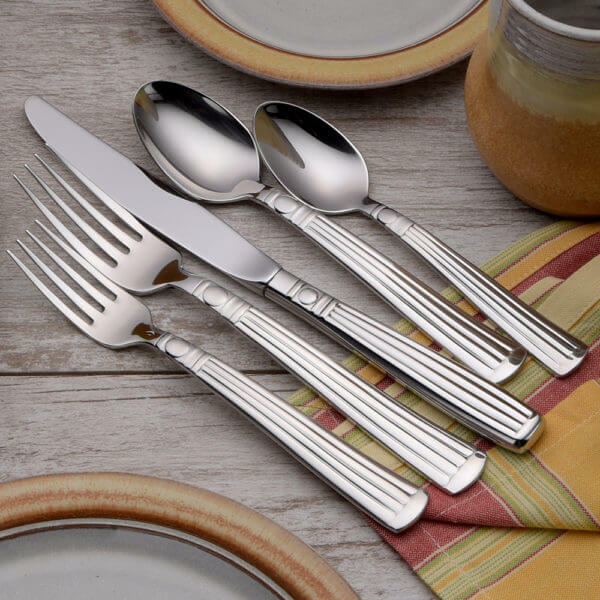 Because neither will match our original flatware, I’ve decided to order a bit of both, so we can use Pinehurst 4 place-settings at smaller family dinners, and then ordered a large batch of soup spoons in the other pattern for when we host chili nights with friends. Over time we’ll add to both collections as needed for different looks. How we found Liberty… We needed more silverware for a party, and when I went to order our wedding pattern (different company), I discovered it was now manufactured in several different countries with quality control issues. It didn’t make sense to spend money on inferior product just to match. So I googled made in the US flatware, and found out Liberty is currently the only option. Thank you for continuing to make flatware in the US! The only reason four stars instead of five stars is that while I understand the pieces are seconds, I would have preferred (since it cost $16 to receive them), to have them all be functional for use. One of the six did not have the entire space between the tongs of a fork open. Looking forward to being a longtime Liberty customer. Thanks again! I purchased the Champlin set two months ago, and was very, very pleased with the quality of the stainless steel and the unique pattern. Most importantly, I am so happy to have the set “made in USA!” Thank you so very much! It’s the best! So very accommodating of you to put the product into the customer’s hand before a purchase is made! I enjoyed seeing the quality and fine workmanship; it helped me to make a decision with which I was happy. Thank you! This was just what I needed. I was able to narrow the patterns down to 3 that I really liked, and getting physical samples helped me choose the right one. Without these I would have been disappointed in my set! Outstanding Made in USA product. We were very impressed with the quality of the samples and have already placed our silverware order from you. We always prefer to spend our money on quality products made in the USA. I liked being able to sample a few patterns before buying a much needed set for everyday use. I wanted dinner forks that didn’t have the huge tines. The customer representative was very helpful in telling me which flatware patterns had the regular size dinner forks. I chose the Satin Richmond for its simple yet elegant pattern. I was especially happy to find a company that made flatware in the USA! It was very helpful to see the items before we purchased a set. They were all lovely pieces. I was thrilled to receive my samples of Liberty Tabletop flatware. I loved being able to feel and compare the different samples in person and was very impressed with the quality. 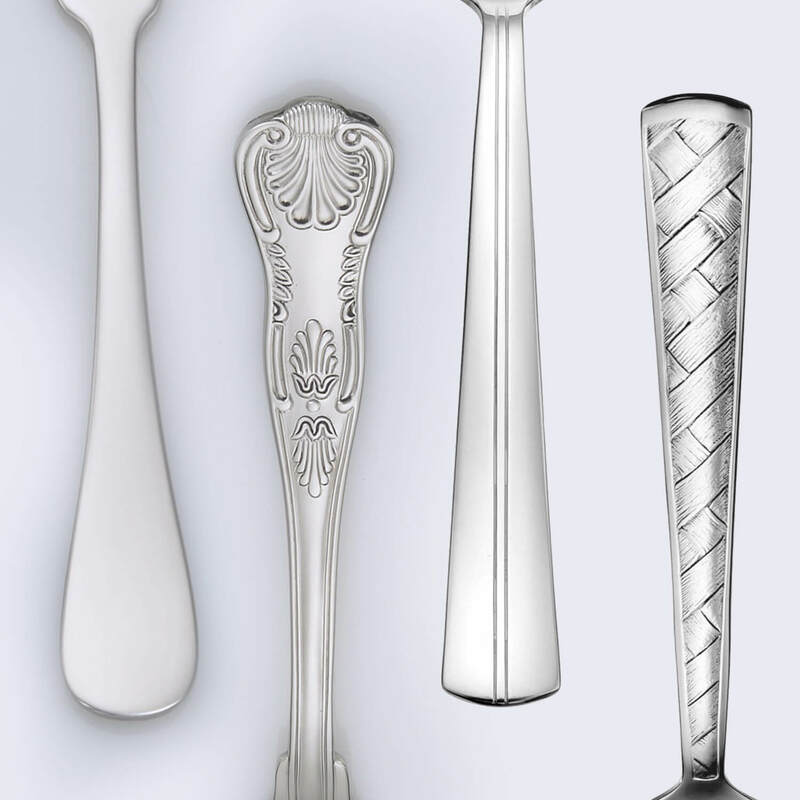 My fiancee and I are very excited to have registered for the flatware for our upcoming wedding. We look forward to using it in our new home! I ordered some samples that I received yesterday. I’m very impressed with the quality and the weight of these forks. Unfortunately my number one choice came as a salad fork. The regular size forks were my second and third choices. However, I do intend to buy some soon. I would recommend this flatware to everybody I know. I ordered some samples of the Modern America and Satin America. Hard to choose but I decided on the Satin America. My 45 piece set just arrived today. Looking forward to many years of using this beautiful stainless flatware. And best of all—MADE IN THE USA. Absolutely love the new Kensington pattern! The weight and feel are perfect! One of my favorite things about Liberty Tabletop is that it’s such high quality and made in the USA!!! 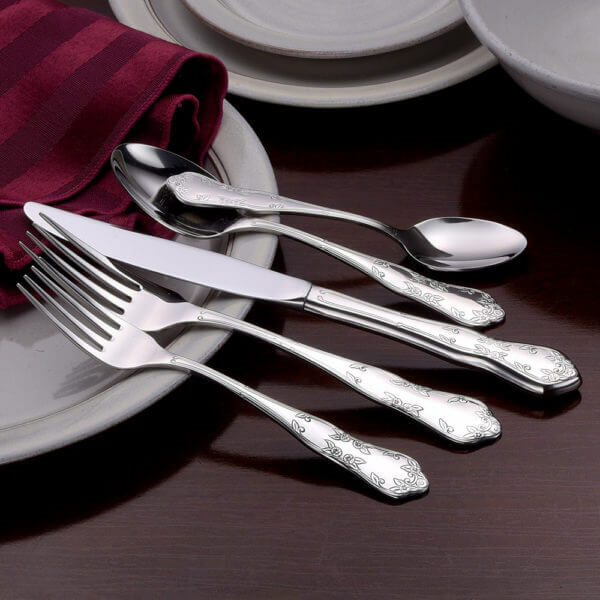 I was so thrilled that I was able to purchase, for a nominal amount, a sample of 3 different flatware pieces. I was intending on purchasing the Modern pattern but had also requested a sample of the lexington. While all 3 were beautiful, the Modern was much larger than I had wanted and a bit clunkier as the “neck” is wider. It’s still a beautiful pattern, but just heavier looking. It turns out we unexpectedly loved the lexington pattern. While it was the same size as my 30 year old Gorham, it has a modern, clean, look. 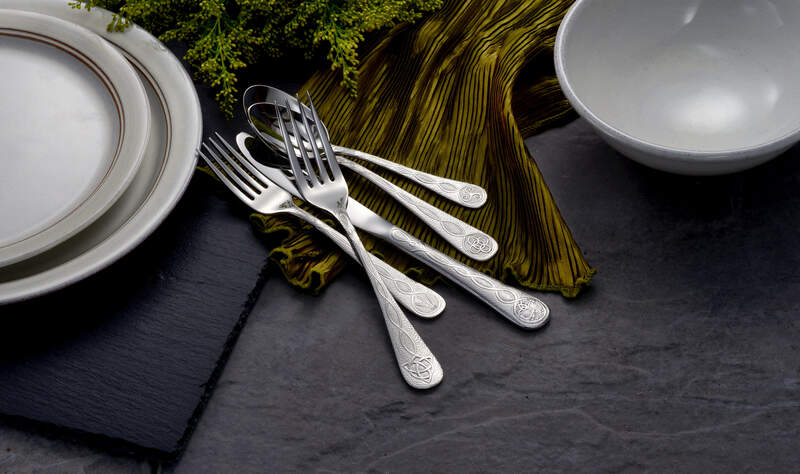 The forks and spoons are traditional size with a contemporary design. I love the flatware. It is hard to tell why the samples are seconds. They look perfect to me. By seeing the samples, I can know for sure which pattern to order. I made a special request and they sent me what I asked for. I really appreciated that. I ordered a set previously and plan to order again. I was very pleased with your company. Being able to order samples helped me to decide the pattern that I liked best. Your employee, Kim, was very kind and helpful. I have since ordered a complete set and just love it. 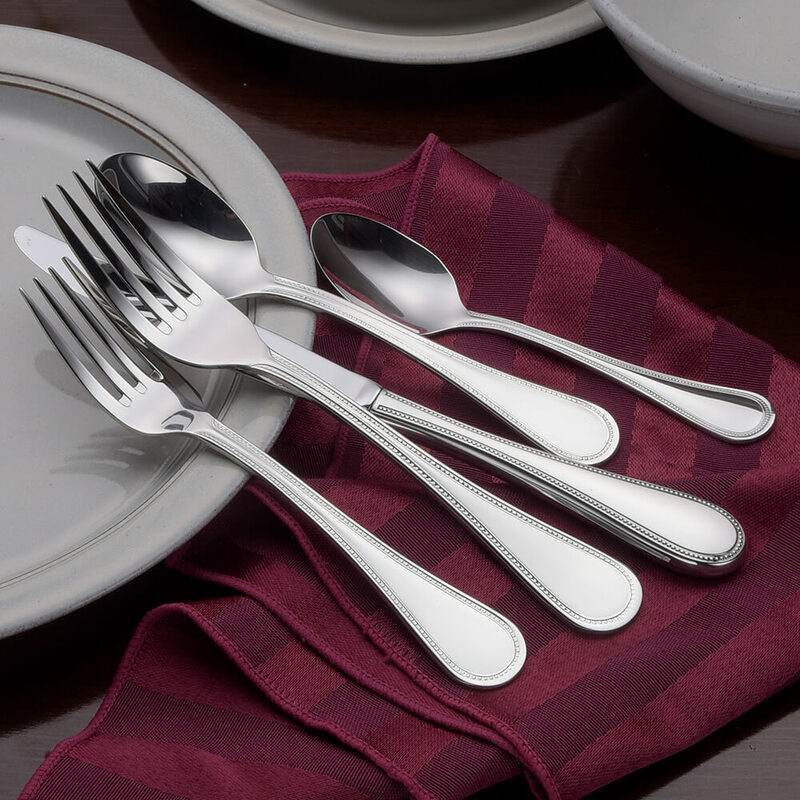 Also, I was pleased to hear about you meeting with President Trump and his interest in the fact that Liberty Tableto is the only flatware made in America. Thank you for this sampling opportunity. Impressive quality and getting to hands on compare, made choosing which set to purchase super easy. GOD BLESS your Company. Very nice product. Still trying to decide which to buy. The Pearl fork was a bit large but the others were perfect. Great product!nice looking,well made,durable.I will be buying again soon! This is a great way to actually see the flatware and hold it/eat from it/look closely at the patterns. It’s well worth the money to have peace of mind when deciding what pattern you want! I received samples of Liberty flatware promptly after ordering. I sampled the Sheffield,Champlin,Betsy Ross,Richmond,and some others. The quality was great,especially considering that samples are seconds. The forks had a nice feel and good balance. They’re better than the imported flatware I see in stores. 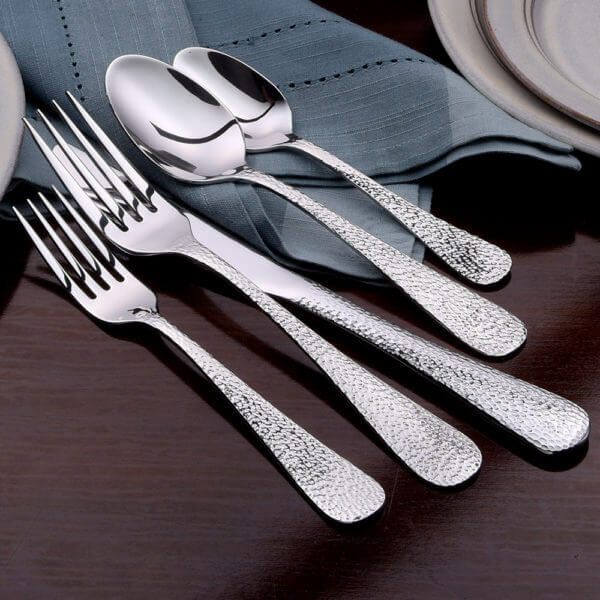 I don’t understand why anyone would opt for an imported set of flatware when we have Liberty Tabletop here in the USA. 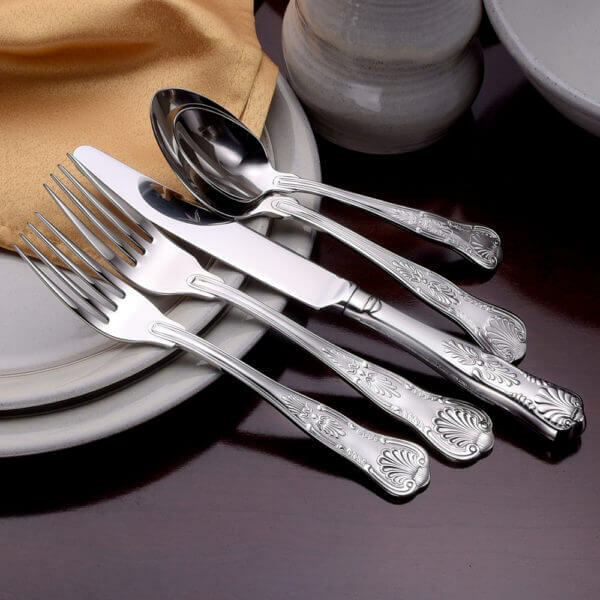 Speaking of which,I suggested Liberty enlarge the “USA” stamp on their flatware.Their customers are proud to support American manufacturing and American workers and would appreciate a more prominent way to show it. Beautiful workmanship ! Astounding speed on the net and the shipping was normal ! Actually getting three samples has made the choice harder because they all seem perfect. Still have to decide which style. I love the weight, the balance, the look, the overall quality. These samples were perfect. I wound up choosing something different than I thought I would. There is nothing like holding it in your hand to help you make that choice. I would certainly tell everyone to do this before you buy. The few dollars are well spent and save you from having to rewrap and send something back you didn’t love. I enjoyed receiving the sample products. It gives you a chance to decide which product is right for you. I was surprised by how fast the shipment arrived. Once I narrowed down which line I wanted to go with. I did another sample to determine which design I want. I love that it’s made in the states. It has such a great weight to it. It’s exactly what I’ve been looking. I still can’t choose between Pinehurst or Weave. Whichever I choose, I know I will love it. I want to get the Hostess set too. I ordered a sample each of the Lux line, and was very pleased with the heft, finish, and apparent quality. After some cleaning, they are all usable just as well as regular utensils. 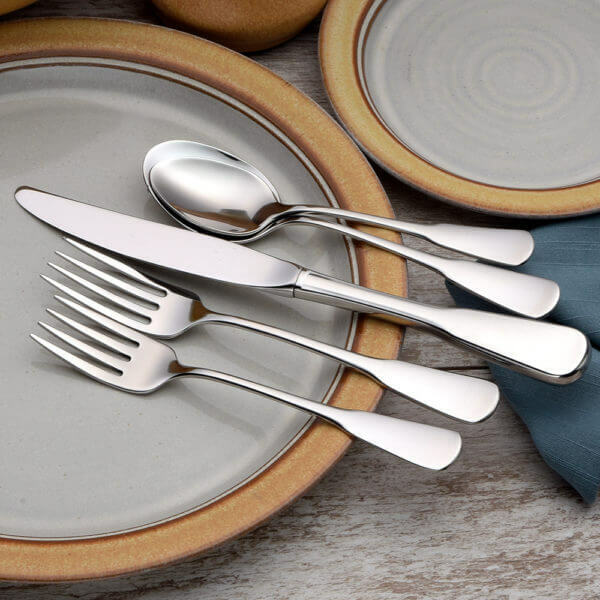 They have survived repeated trips to the dishwasher and after a few months I have decided to purchase a set in one of the styles I received as a sample. I would strongly recommend ordering samples if one isn’t sure either of a particular model, or what to expect from Liberty’s products. I was very pleasantly surprised and excited to try out what I was sent. They had some manufacturing ‘grease’ in areas prone to such things but after some minor cleaning they are excellent, and as stated, look, feel, and function very well. I ordered the samples and they arrived quickly. The quality is excellent. I am so happy they are made in America. I am trying to buy everything that is made in America now. Thanks for keeping your company active. I ordered samples that had matching iced tea spoons and I still couldn’t decide which pattern I wanted. Then I found that one also had matching steak knives.Being on a fixed income, I am glad that I can order just as much as I can afford. It may take me awhile but I will have a quality made in the USA flatware. I ordered three different pattern samples, in three different grades, and every item I received showed a quality that makes me proud to buy Made in the USA. 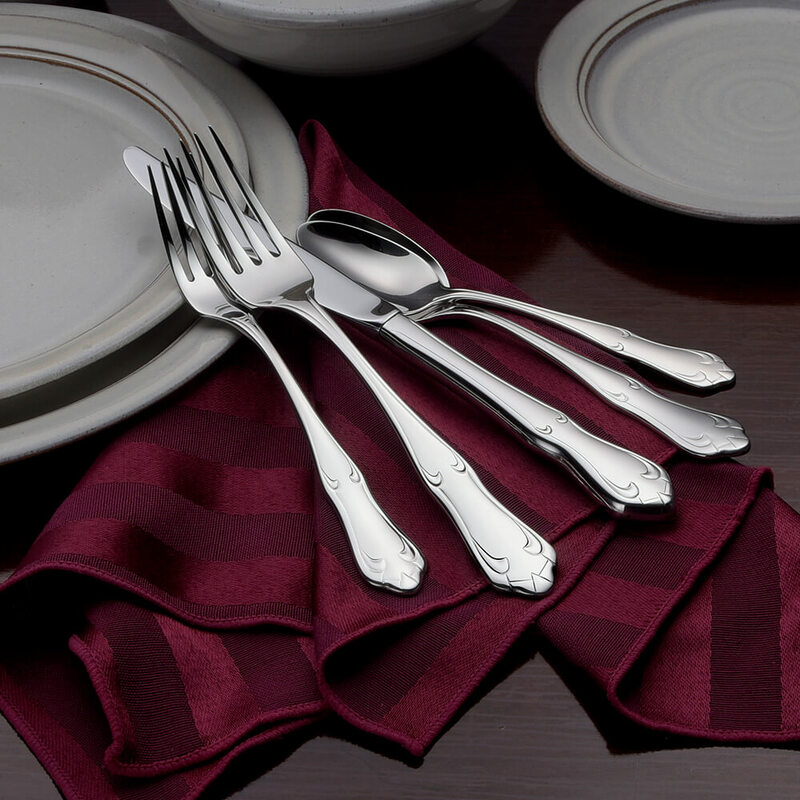 The set I purchased is in the highest grade only because that’s the pattern I prefer… but all of them would be suitable for guests at a dinner party. Loved the samples, very helpful in making a decision and I will be ordering a set in the near future. 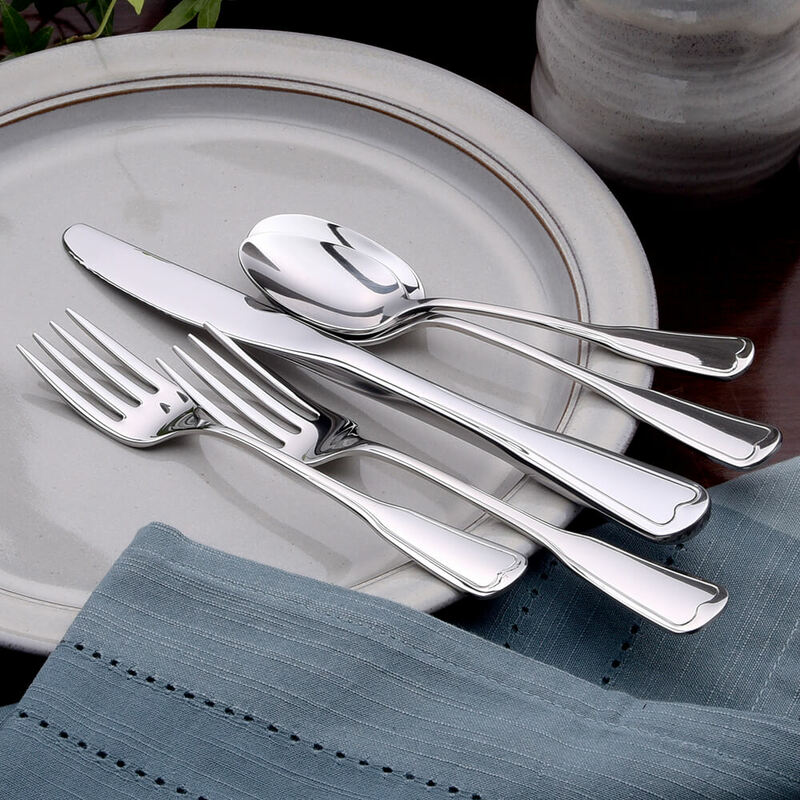 I am thrilled that this lovely silverware is made in the the USA! Very proud of that fact!! Quality flatware and it was wonderful to get the samples to see and hold. I got two samples, I liked the Pearl flatware size and weight. Both samples are well made and I appreciate that got them quickly to test them out. I ended up buying service for 12 in the Pearl flatware. So happy! Got some samples of Bridal line patterns. Well made, nice finish. We were looking for something a little more round rather than so square or flat. We love the idea of buying from Americans but it just wasn’t what we were looking for. I would recommend these products. I was very pleased with my sample order and plan to place a larger order within a few months for a set of the Martha Washington pattern. I love the feel and look of it. It is very traditional and feels good in the hand. It is definitely nicer than any other brands I have seen and priced reasonably. I also plan to order a few pieces of the Calavera for my son who loves pirates. He thought this skull pattern was the coolest thing ever. Even though it is from Liberty’s lower end line, it is still excellent quality. The Sheffield sample I ordered is also beautiful, but the continental sizing was not for me. Love being able to actually see the patterns, and judge how they feel in the hand. Getting the samples really helped us decide which one was right for our daily use. Thanks! Ordered 6 sample pieces…and they all exceeded expectations! It was difficult to make a decision, but I decided on the Betsy Ross and just ordered the 65 piece set. Loved the look and the quality…and thrilled to be able to buy a product made in the USA! Thank you for offering samples and for the great customer service. I love that you get a chance to hold an example before purchasing. I wish you could choose which you got, though (fork, spoon, or knife). It was nice to have the opportunity to see/feel the samples before deciding on the flatware we wanted to order. That really made the difference to us in ordering online. Made in USA is why I tried sample. Using it is where you can really feel the QUALITY. I will be back for more. 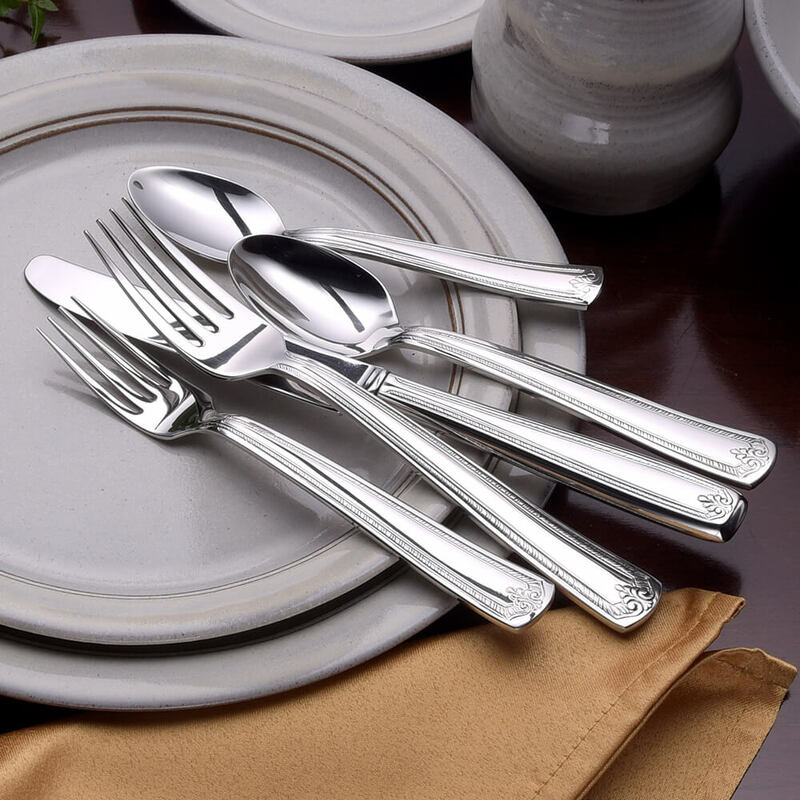 Thank you again for offering ANY of your flatware as samples to preview-shipping was fast also! Nice selection-we will definitely purchase one of these patterns soon! Love them-what a great idea for your customers to preview the pattern they would like to purchase! Great product. Very pleased. Highly recommend. Had no problems ordering our samples. They arrived a few days later. I was surprised on how light they were. Didn’t take us long to make our choice. My experience with flatware is limited as I’ve had the same set for 37 yrs. However I appreciate the opportunity to receive samples of your product to “try-out” before making any decisions. I like the simple patterns and the quality of the pieces. This is a great example of your product. I recently bought a 45 piece set of Liberty Tabletop Classic Rim from Amazon. Love the set! The forks are large (which my husband loves), all the pieces clean wonderfully in the dishwasher, I’m very happy with them. Receiving a sample of the flatware I was interested in was very helpful and convinced me to order a new set of utensils. I ordered 2 sets of samples and they were all lovely. Decided on the Pearl pattern and I am delighted with my purchase. I am so happy I found the Liberty Tabletop site. The product quality is unbelievable and the customer service second to none. I loved being able to order samples of the flatware! 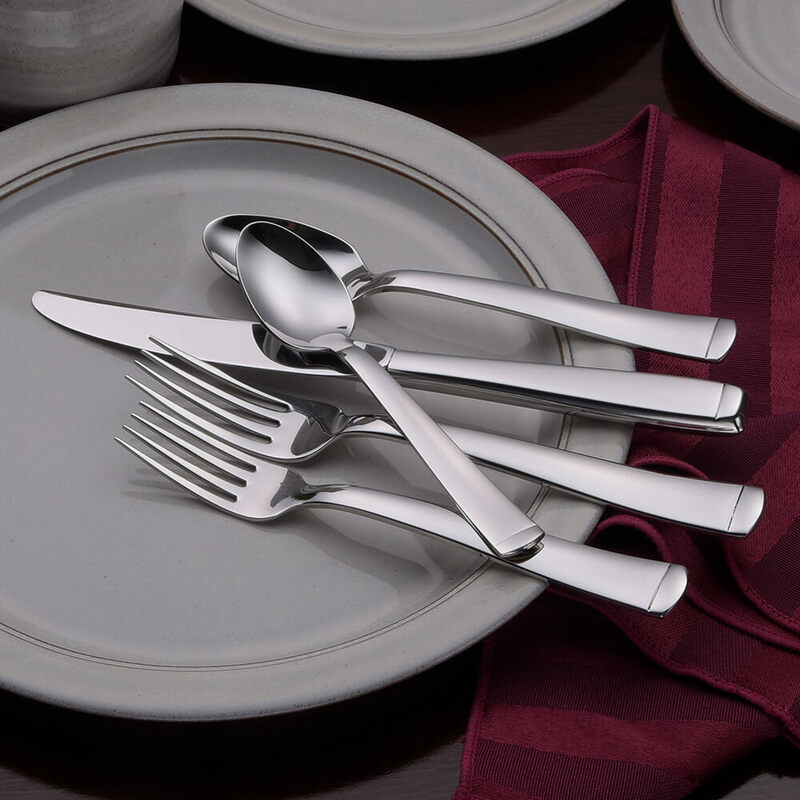 Being able to see, feel, and use the flatware before you buy a setting was just awesome. I think the product samples are wonderful. It really helped me to make my decision on what pattern to purchase. It’s nice to be able to hold the compare the products without purchasing a whole set. The flatware seems well made, and it certainly well priced. I am not looking for trendy; however, I would appreciate a little more flair and risk in some of the designs. After using the samples for a week fell in love with the Cedarcrest . Purchased the 20 piece set to start and will add new pieces as needed. Called customer service to order and within a few days received my new AMERICAN made flatware. Donating my Chinese made to charity. My fiancé and I are getting married in September and will be creating our home together. I have spent a lot of time researching as our goal was to create a registry with as many made in the USA products as possible. When I came across Liberty Flatware I was so excited. 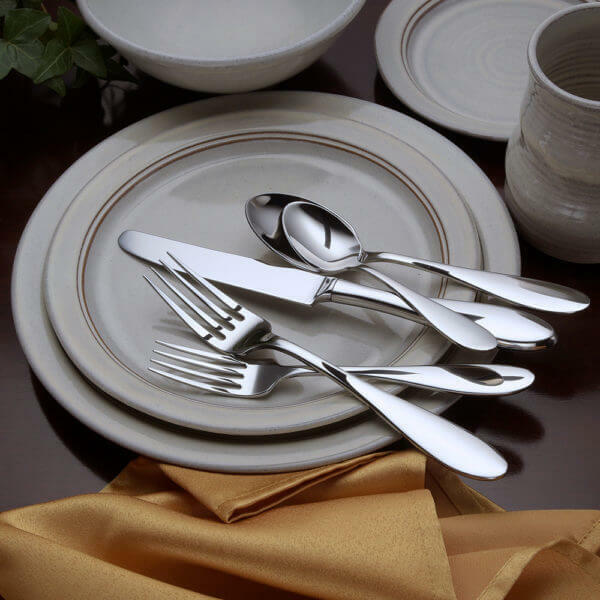 I found many different sets that I was interested in but with flatware it is difficult to make a decision based on pictures. You really need to see and feel them for weight and feel. When I found out that Liberty offered samples I was thrilled! The samples arrived quickly and oh the quality! It is funny because after seeing them in person the pattern I thought I liked the least was actually the one I liked the most! It was nice to be able to see and feel them and actually use them to eat and see what we liked and disliked about each (we really got into the process). We have decided on the Cedarcrest and could not be happier. We have actually added it to our registry (what a fantastic feature!!) although I am not sure if we will be able to wait that long!!!! We also love that customer service reached out to us to offer us any help and answer any questions. They certainly go above and beyond and stand behind their products. If you are still questioning Liberty order some samples, you will not be disappointed! This is an excellent way to actually determine if you want to buy this flatware and what pattern you would choose. I don’t think anyone could go wrong with any of these patterns and the quality is unmatched. 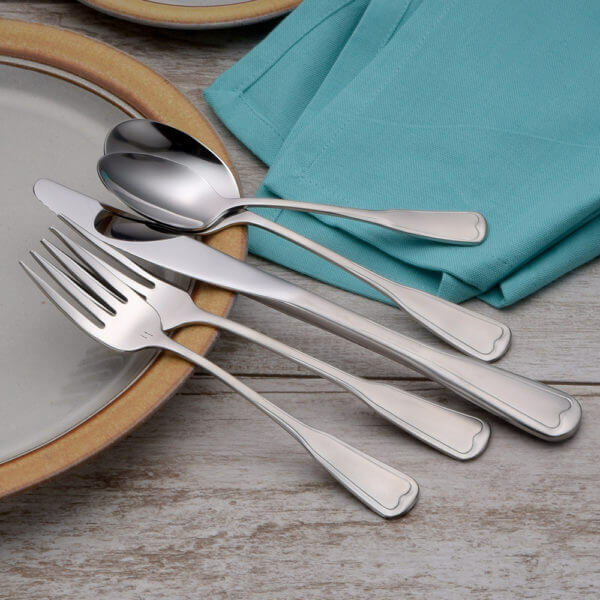 All the flatware I looked at before I found this U.S. company was made in China, Indonesia, … I purchased a set of flatware and had to return it as the quality was horrible. I picked the Betsy Ross pattern and love it! It is so shiny and well made and the company stands behind it! Great purchase, thank you. 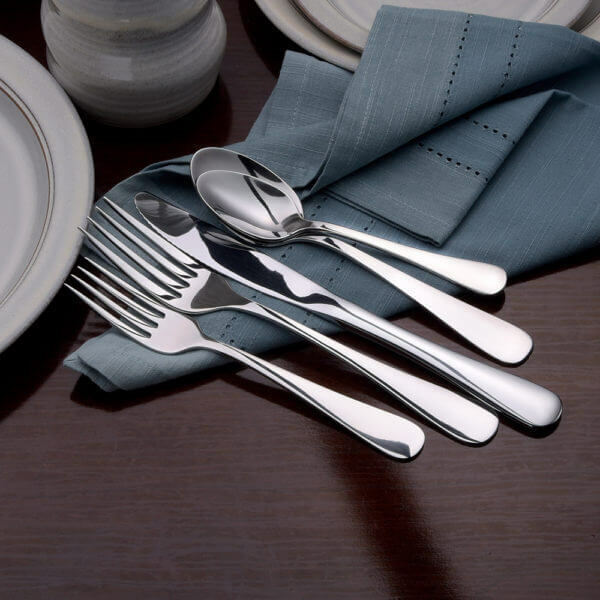 It is great to be able to purchase samples and try out the flatware. I just can’t make up my mind because they are all beautiful! The samples also arrived very quickly. Thank you! 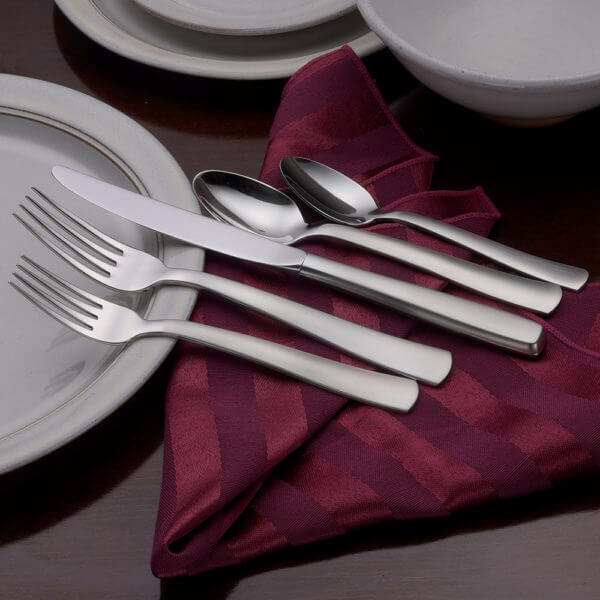 I was very pleased to be able to “preview” some of the styles of flatware…so much that I plan on ordering the set of Lincoln flatware in the near future. The availability of samples is greatly appreciated. It makes deciding much easier when you can feel the fork in your hand! The samples were received in 48 hours! Thank you. Great samples — beautiful product. Very much appreciated the option of having a sample sent. Good quality, looks, and balance. Representative very helpful. Will be ordering a set as soon as my budget allows–which will be in the next month or so. Totally worth it to spend the extra $$.. Thanks for hanging in there and taking the high road. I am so glad I ordered 2 sets of samples! While the pictures and descriptions are helpful they don’t sccueately reflect the quality of this flatware. One you see and touch them you will truly appreciate them. Even my husband was impressed! I just missed a sale but the next salle I will order the Betsey Ross complete set. I placed another order for a set of soup spoons, but was tempted to have a closer look at a few patterns that caught my eye. The samples arrived quickly and I am now faced with the tough choice of which pattern I like the most. I am planning to order a set of the Sheffield in late summer. Great products, great company. It was great to be able to hold the samples in my hands to feel the weight, etc…As soon as I save the money, I will be purchasing my favorite choice. This is such a good idea for people to see what the tableware feels like. I so appreciate being able to feel and see the pieces. Alas, my husband really wanted forks. I am specifically seeking matte or satin finish. What you sent was beautiful and the perfect weight though. What a great idea. My samples arrived today. One beautiful pattern after another! I chose from all of the various tiers (Richmond, Susanna, Pinehurst, Lincoln, Martha Washington, Prestige). All of them were outstanding quality. It was very helpful to be able to hold them and see how they looked with my china. I was also able to get my husband’s opinion as well and I only had to force him a little. 😉 And that Made in the USA stamp…simply spectacular! Having samples sent to the house was great. 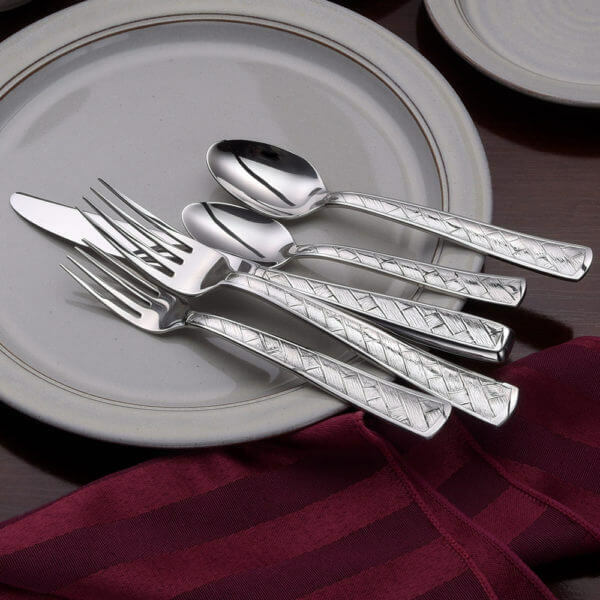 We good quality flatware and after seeing the samples we changed out minds and got a different pattern. Got the Classic Rim set, and love them. We bought the 3 piece sampler and were able to make a decision that we were very happy with. We ordered a 45 piece set for our 46th anniversary, that feels sturdy and looks beautiful! Very glad to have found you, and thrilled that we got a quality set that is made in the USA!! The fast free shipping is also a nice bonus. I love that I could try a couple of different patterns. I loved both patterns that we ordered one stood out for me because of my RA. Both patterns are solid and well made. We appreciate your sample program…it makes our final purchase decision easier to make. And Made In America!!! How awesome is that! Great service and a great product! It was extremely helpful when making my decision to by the pearl 12 place setting. I will buy more. I purchased samples with the idea of being able to compare the size of the dinner forks in 3 different patterns. However I received 1 dinner fork and 2 dessert forks which made the comparison impossible. I realize no particular samples are guaranteed however the forks that were sent did not help meet the intended purpose. The person that I ordered the set from on the phone was very polite. This is such a helpful feature. I was able to order 3 samples and to be able to feel the weight, and use them really helps you pick a set with confidence. It is extremely helpful to get a few samples to hold and compare. It made it much easier choose the pattern I thought I wanted but couldn’t be sure. The sample order fulfillment is very prompt, and the overall customer service is first-rate. +Quality is excellent…everything I hoped it would be…will be purchasing new flatware set and chest from Liberty soon. 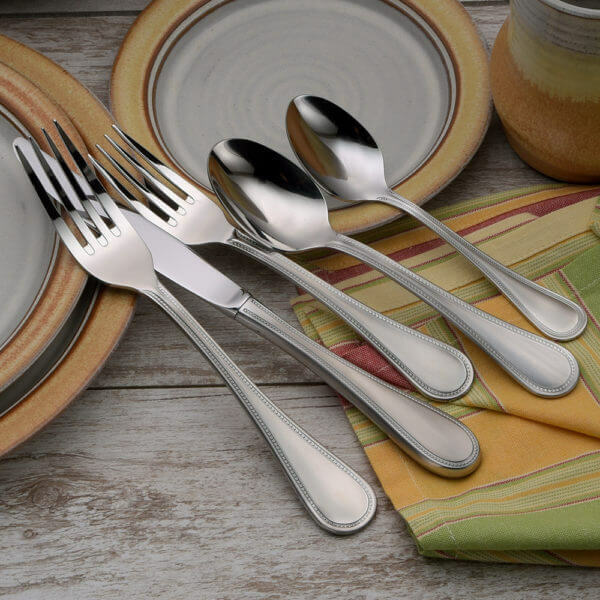 The best part is Liberty flatware is made in the USA. Very convenient to be able to see what exactly you are getting before you make a big order. The samples came very fast and I was able to make a decision. It is extremely helpful to get a few samples to hold and compare. It made it much easier choose the pattern I thought I wanted but couldn’t be sure. The sample service is very prompt, and the overall customer service is first-rate. Seeing the silverware before buying made it much easier to decide which pattern we wanted. Cost is very reasonable for this service. Great quality! Great price! And made in USA! What more could you ask for? I love the set! This was a wonderful idea, and very helpful. Our samples arrived very quickly, and it gave me a hands-on opportunity to select the style I wanted most. I ordered two sample sets for $16 total, and I selected the dinner fork as my utensil for each style; so I could see the difference between each. Another plus is that I can now keep these 6 forks. After my sample sets arrived, I ordered the style I favored, and likewise, that set of 65 (settings for 12, plus a hostess set) arrived very quickly! I am extremely happy with the quality, style, and service. Awesome experience!!! Great product AND made in the USA! The sample program is fantastic. It is a very reasonable price to be able to see 3 separate patterns in person. After handling the spoons and forks, we totally changed our opinions of which pattern we wanted. Highly recommend to get some samples before buying a whole set. I purchased the samples so my daughter in law can make a decision for new flatware. I found having the samples very helpful. She is still making her decision. I so want her to select a manufacture here in the USA. I’m shopping for a housewarming gift and the try before buy option is fantastic! Also, I’m in need of new forks and knives, I’m looking forward to holding those beauties. I can’t thank you enough for giving us customers the chance to experience the real thing. And don’t forget these are made in the U.S. It’ll be even better when Liberty also offers pots and pans and the handles, all MADE IN USA. I love this try before you buy feature, and I love being able to support a good US company. Love being able to hold and look at the flatware before I buy. I am grateful that Liberty is made in America. Ordered the 65 piece set for my son and wif e. Thanks for the samples. Great idea! 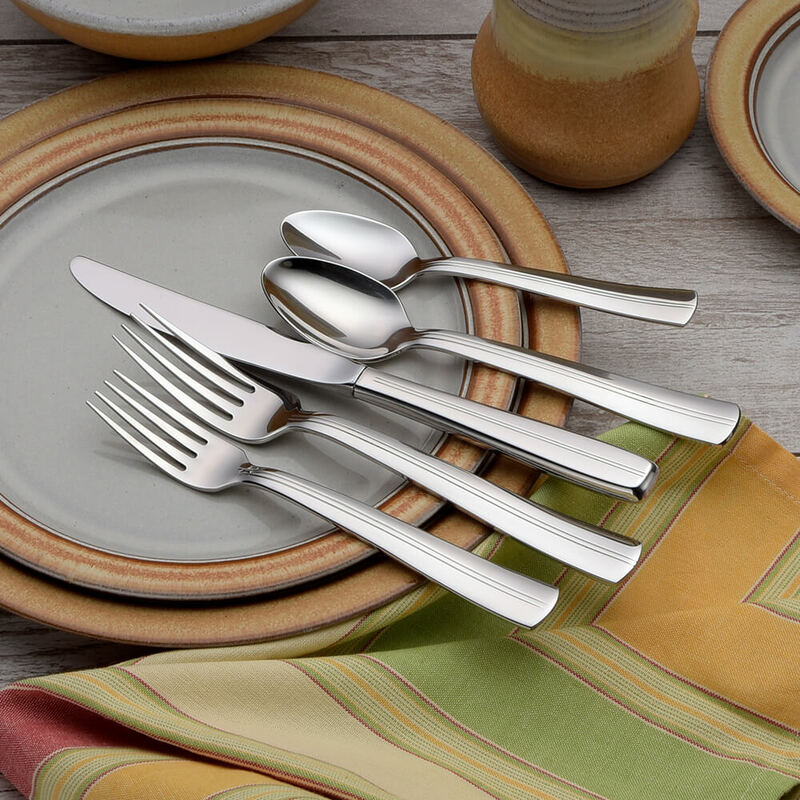 Love that your flatware is made in the USA! Liked the weight of each piece. Liked the Lincoln design especially! Am considering purchasing a set. Thanks! Like the others I so appreciate the chance to affordably order samples. The quality is great and the customer service is terrific. Love, Love, Love the flat wear samples. Being able to order samples and hold them in my hands and set them on the table really helped me make up my mind…which isn’t an easy thing to do. After ordering 5 samples I found my favorite and ordered a 65+ piece set. And I am just in LOVE with my flat wear. Best highest quality flat wear around. And I really love that it is made right here in the USA by my fellow Americans. Just can’t beat that! Thanks LIBERTY TABLETOP! The samples are a great idea – it makes a HUGE difference to be able to hold them in your hand. I run a small, family-owned manufacturing business (injection molding) that has also felt the rapid contracting of a market (our main market is fly fishermen) so I feel your pain. I’ll proudly tell EVERYONE I know about Liberty – I know exactly how important “Made in the USA” is and will do all I can to get others to hop on board. Best of luck in the future. Keep at it – pulling manufacturing back to the US is important work – and keep your people working!! Thanks for this superlative product and the obvious care that goes into making it. I’ll write a review on the website once the set arrives. Thank you for offering the sample program! My choices totally changed after holding and using the sample pieces. Thank you also for your excellent customer service. Gina has answered all my many questions very quickly. I am so happy to find flatware made in America and am able to order samples. Obviously only a USA company would have such a nice offer!! After seeing the designs in person and holding them I was very confident in my design choice. 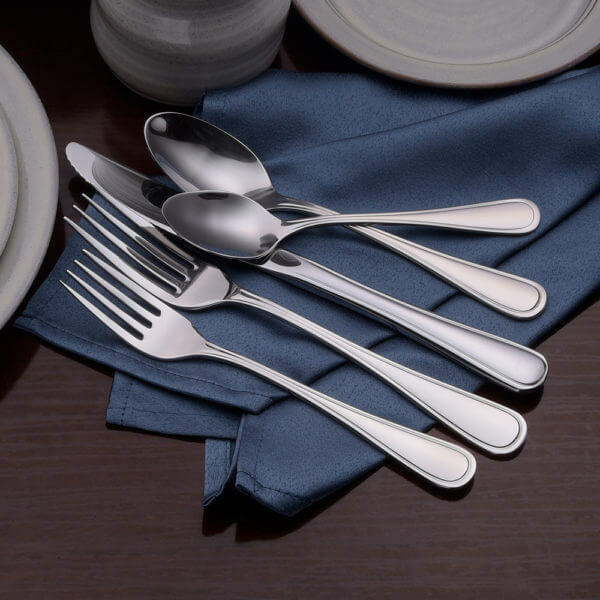 I am thrilled that this flatware is made in the US. And I commend you on offering the sample program…so we can actually feel it in our hands.